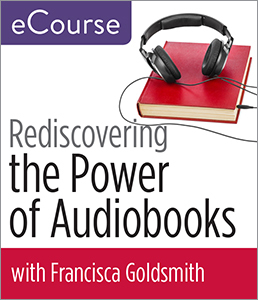 Chicago—ALA Publishing eLearning Solutions announces a new facilitated eCourse, Rediscovering the Power of Audiobooks: Collection Development, Readers’ Advisory, Programming, and More. Francisca Goldsmith will serve as the instructor for a 4-week facilitated eCourse starting on Monday, May 6, 2019. Registration for this ALA Publishing eLearning Solutions facilitated eCourse, which begins on May 6, 2019, can be purchased at the ALA Store. Participants in this course will need regular access to a computer with an internet connection for online message board participation, viewing online video, listening to streaming audio (MP3 files), and downloading and viewing PDF and PowerPoint files.